Alexis Krasilovsky is Professor of Screenwriting and Media Theory & Criticism in the Department of Cinema and Television Arts at California State University, Northridge. 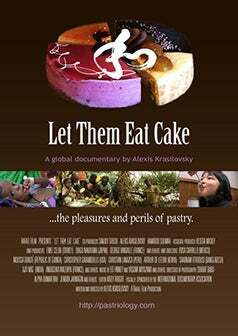 Her global documentary feature, "Let Them Eat Cake," ("Best Documentary Feature"- Paris Independent Film Festival), is now available on Amazon Video Prime. For more on Prof. Krasilovsky's films and books, see http://alexiskrasilovsky.com. "Great Adaptations: Screenwriting and Global Storytelling" has been declared an Award Winning Finalist in the Performing Arts: Film, Theater, Dance, Music category of the 2018 International Book Awards. 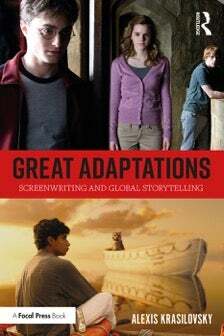 Prof. Krasilovsky will discuss the book "Great Adaptations" at the Greater Los Angeles Writers Conference, on the panel, "Making Great Adaptations," 3:30 PM, Saturday, June 23rd, to be held at Los Angeles Valley College.